Robotic solutions from HDT have applications in the industrial and commercial marketplace. Our Adroit® manipulator arms provide assistance in lifting heavy objects, dexterity to perform tasks in warehouse pick/pack line environments and work well in confined workspace areas. HDT Adroit manipulator arms have the strength, speed and dexterity to load/unload trucks. They can handle case-picking operations and can handle totes for fulfillment centers or manufacturing lines for parts to line operations. With a lifting capacity of over 150 pounds an HDT Adroit dual arm manipulator can lift most of the items found in a warehouse. A “cobot” is a robot that works in tight coordination with a human worker. The combination of a cobot and a human produces a result greater than what either could do by acting alone. Cobots are usually unique to a specific task. 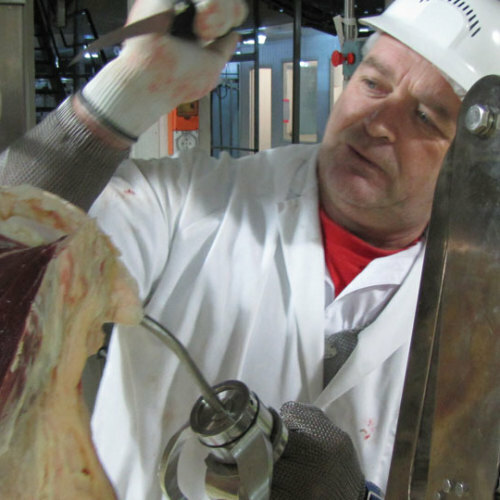 An example of a cobot used in the commercial market is in the meat processing industry where workers using a cobotic hook allows a 10 pound pull on the cobot to translate into a 100 pound pull on the meat. This results in faster processing, with a significant reduction in repetitive strain shoulder injuries for workers. 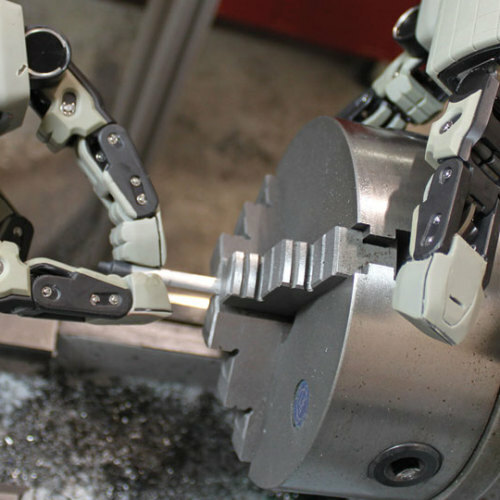 Cobots have been designed and produced by HDT for over a decade. HDT’s Adroit manipulator arms can be used in a wide variety of manufacturing tasks including the loading/unloading of CNC tools, or assembly tasks in small or awkward confined spaces. 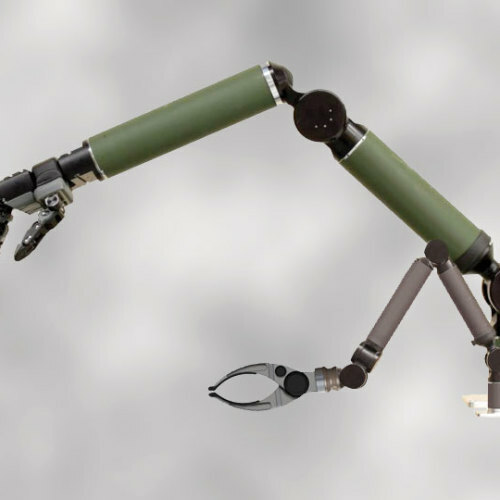 Robotic arms can reduce worker fatigue and injury, while increasing productivity. HDT’s Adroit single and dual arm manipulators are safe to operate around people and the Adroit dual arm system is strong enough to lift over 150 pounds.